The following steps should work for any Linux OS but the main sticking point is that the kernel needs to be compatible with EC2 (see the anouncment for a list of some distros that have compatible kernels and remember you can always compile by hand as well). 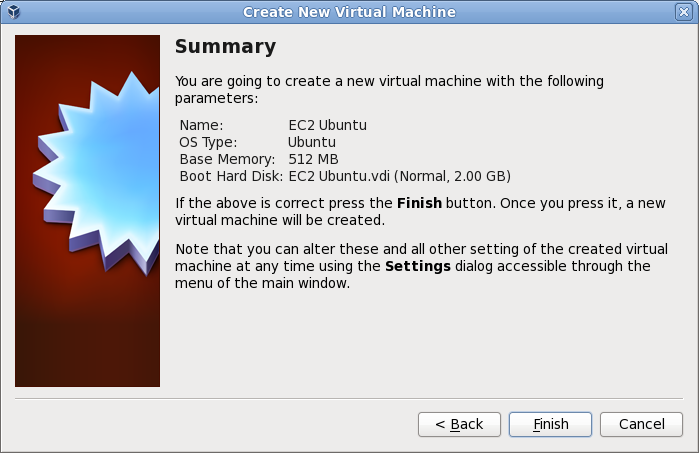 Make sure your VirtualBox or VMWare install has a kernel that is able to boot on EC2. Make sure you have grub installed and set up your /boot/grub/menu.lst file to point to the correct Xen kernel and initrd file. See the Ubuntu instructions that follow for an example menu.lst. Make sure you have your /boot directory in the correct place. 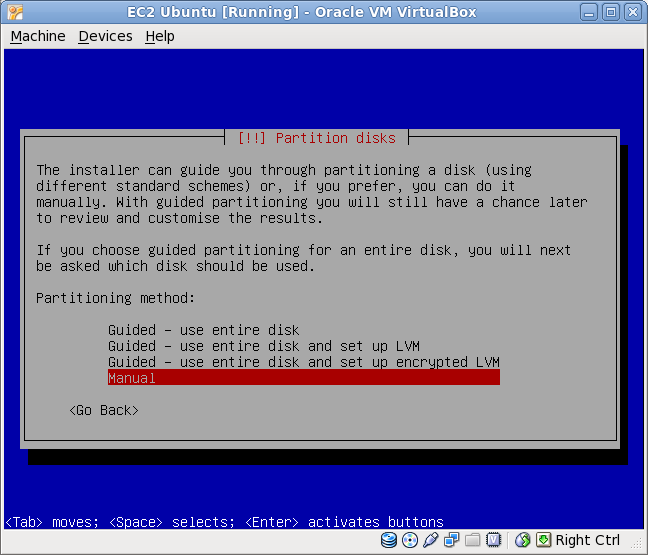 If your disk is just one big partition you shouldn't need to do anything (use the hd0 PV-Grub kernel in the last step when booting). If you have a partition for /boot you will need to make sure it is the first partition on the disk and you will also need to copy the directory into /boot/boot so that the menu.lst file would be in /boot/boot/grub/menu.lst after the copy. For an example of this see the Ubuntu instructions that follow (use the hd00 PV-Grub kernel in the last step when booting). Note: The instance you attach the volume to is just a place used to copy the image file onto the volume. There is no need to be too picky about the type of instance it is as long as you have access to the dd command that should be all you need. Note: It may make sense to compress your raw image before transferring it since any free space will be represented in the raw file and will compress down a lot. Notice that I didn't include any swap, that is something you probably want to put on the EC2 instance's ephemeral storage. When prompted to install grub answer yes. Notes: I was unable to find a compatible kernel that was apt-get installable from Ubuntu and that is why I grab the two above from the Debian site. Also, If you want to continue to boot the system outside of EC2 then make sure to edit the /boot/grub/grub.cfg file so that it has the correct kernel set to boot by default. Notes: The grub root command is pointing to hard disk 0 and partition 0 because I put the boot directory on the first partition. The root parameter for the kernel is pointing to /dev/xvda2 and not /dev/sda2 because the kernel patch to disable XSAVE changes the names of the devices. Notes: The raw image that results will be the full size of the disk as it was seen by VirtualBox so if you have a lot of free disk space on your image you will probably want to compress it before you transfer it to EC2. At this point the commands are exactly as they are for the generic instructions above. Note: Because the partition table contains /boot on hd00 I used the kernel named aki-4c7d9525 for the east region. Once you get the hang of transferring the image these steps aren't as complicated as they seem. It may help to imagine the extracted disk image as a physical hard drive that you are moving around. The main pain points are selecting the correct PV-Grub kernel and making sure your grub menu.lst file is in the correct location on the partition. Is there a reason you're using VBoxManage internalcommands converttoraw instead of VBoxManage clonehd --format RAW ? @Jaka That may be a newer way of doing what used to be a hidden feature. Looks good to me though if it produces the same output. Hey thanks for the article. I got so far… but those debian links no longer work. Am I right in saying an Xen kernel is included in 10.10 ? Also, If you want to continue to boot the system outside of EC2 then make sure to edit the /boot/grub/grub.cfg file so that it has the correct kernel set to boot by default. 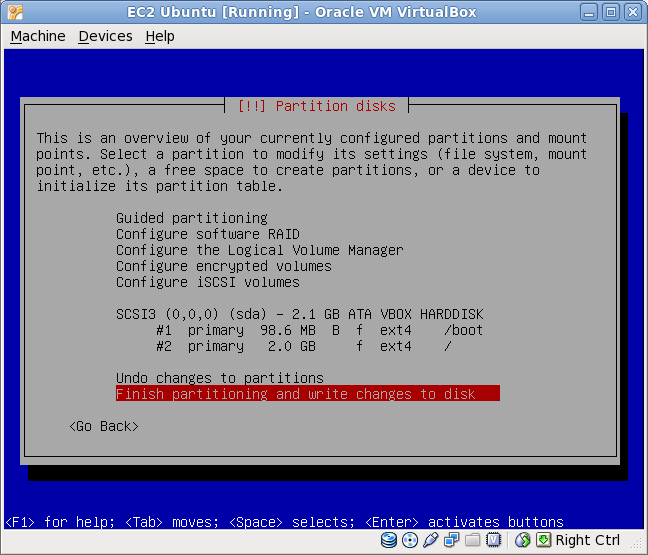 What would this look like if you wanted to make the image bootable in VirtualBox and on EC2 when it's converted. @Martin you should be able to do that but you would need access to the AMI files or you would need to create a snapshot of it running.